Norwegian Ambassador to India Nils Ragnar Kamsvag, in an interview to ANI, said India and Pakistan should have a "good dialogue" between themselves to reduce tensions. India and Pakistan flags. Image for representational purpose only. 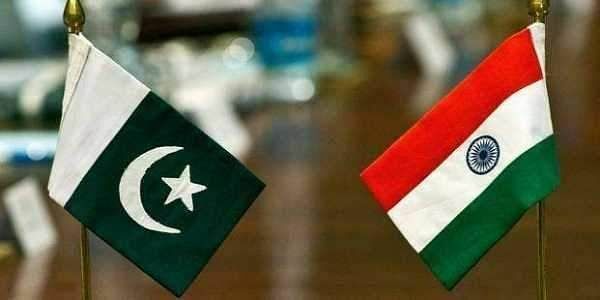 NEW DELHI: Underlining that no third country can provide "further dialogue" between India and Pakistan, Norway on Friday said it has not been asked to mediate between the two countries nor has it offered to do so. At the same time, he said if anyone approached Norway over any issue, then it would take a call on the same. He also clarified on Norwegian Prime Minister Erna Solberg's remarks, where she had said at an event in the national capital that Oslo could mediate in facilitating peace talks between India and Pakistan if asked for. "No, that was not what she had said. These two countries (India and Pakistan) need to talk together but what she said was a general comment. We made it clear that Norway has not been asked to mediate, neither have we offered to. Our approach is clear. If anyone needs assistance, we will consider it," Kamsvag said. Commenting on the India-Pakistan ties, the Norwegian diplomat said the first and foremost approach to tackle the problem is to have a good dialogue to build confidence on both sides. "The first and foremost approach is when you see India and Pakistan or any other country, it is important to have a good dialogue between the countries. That is the only way you can build confidence on both sides of the border. I don't think when it comes to India and Pakistan, any third party can provide a further dialogue. This dialogue has to come from the parties themselves," he elaborated. "In the long run, the issues should be solved through dialogue and they should have open dialogue as well." In November last year, former Norwegian Prime Minister Kjell Magne Bondevik paid 'surprise' visit to separatist leaders in Jammu and Kashmir, including Syed Ali Geelani and Mirwaiz Umar Farooq, which raised eyebrows. The central government later clarified that it was not involved in organising the visit and meetings of Bondevik to Jammu and Kashmir, and that he was on a private visit to India. Responding to the visit, Kamsvag said that Bondevik visited Kashmir in personal capacity and did not travel on behalf of the Norwegian government. Speaking on Solberg's recent visit to India, Kamsvag said the Norwegian Prime Minister was happy with broad agreements on key issues. He said the key outcome in the visit was the Ocean Dialogue which Norway has been formalising with India and the starting of a joint force of blue economy. "We are happy with the meetings and a very warm welcome she got. We are happy with broad agreements on key issues. The key outcome was ocean dialogue which we have been formalising with India and the start with a joint task force of the blue economy. We think it's important for development of economies of Norway and India. Also, we can assist India in using much of their untapped resources present in oceans," he said. Underlining that ocean is a common global good, the diplomat expressed concerns about pollution in seas. Talking about the global Sustainable Development Goals (SDGs), Kamsvag lauded India's efforts in focussing and moving forward to achieve its goals. "This is the most important agenda and it is important for a strong international committment for this goal. We are impressed with the way India is focussing on those goals in their policy formation. This is also a typical area where we can jointly discuss to see how can we find policies which most efficiently can help us to reach these goals. It is very important for the global well-being of this century," he said.